Calendar - Volunteer Work Day - Help us spruce up for Dogwood Days! Calendar \ Details - Volunteer Work Day - Help us spruce up for Dogwood Days! 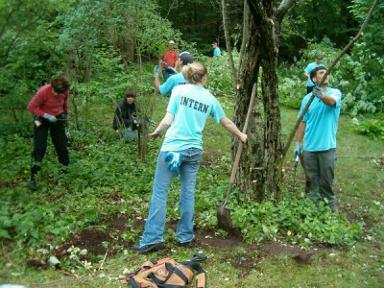 Volunteer Work Day - Help us spruce up for Dogwood Days! Spring will arrive soon and we will be busy planning for Dogwood Days 2018 June 9-16. There is lot of work to be done and our first Volunteer Day of 2018 is scheduled May 12th, 9:00 am-noon if you want to pitch in and help! Trees need to be potted up for our tree sale. Gardens need to be prepped for planting from weeding to mulching to planting and transplanting a wonderful variety of plant material. With your help, it will be the best volunteer day ever! Come spend the morning with at the Wakefield Estate and learn about planting while helping prepare for one of Milton’s biggest celebrations. High school students needing to complete community service hours are especially welcome! For more information or to register, call 617-333-0924 x22.